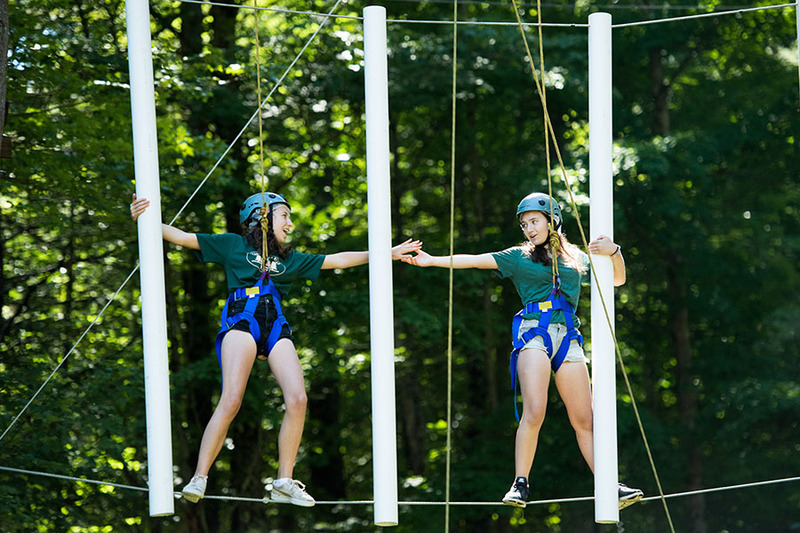 North Star is more than just a typical sleep away camp where boys and girls play sports, create art projects, challenge themselves on the ropes course, participate in waterfront activities, and go on exciting trips. If that were the full value of the North Star experience, we would be missing out on a precious opportunity — teaching our campers valuable life skills. Over 10 year ago, a group of Fortune 500 companies formed a partnership to address a growing problem. There was a void in the workplace from recent high school and college students who didn’t have a foundation of vital skills. Surprisingly the skills critical to success had nothing to do with math, science or reading. Rather, the students lacked non-cognitive or life skills that included resiliency, communication, creativity, collaboration, and critical thinking. The good news is that children have the ability to acquire these skills on a daily basis at Camp North Star. Every day our dedicated and experienced staff of counselors, teachers, coaches and instructors focus on incorporating these skills into our lesson plans and activities. Just think about what it’s like to live in a cabin with 8 or 9 other boys or girls. Campers are constantly communicating and collaborating with each other through communal living while they form strong bonds and friendships. That’s what real life learning is all about. Research shows that acquiring these skills at a young age will help a child become a successful teenager, college student, and adult. Each summer at Camp North Star is the perfect place to develop these essential life skills that complement the knowledge gained during the school year.